Slackers, narcissists, entitled - the infamous cliche' known of a generation born around 1980 or so. This special breed of individuals, debunking myths and assumptions, will lead a cultural shift representing a 75 percent of the US workforce by the year 2025, thus changing the face of leadership. They are millennials who are more ambitious to see cultural change than to gain personal wealth and advancement. They are millennials, with a distinctly original quality that dispels the false labels. They are creative, innovative, enterprising, influential, bold, unapologetic, and ready to solve the world's problems. They are called the original millennial. 6. Empowerment is Essential (Faith, Mindfulness, Empowerment). You will learn lessons for your own life and career. 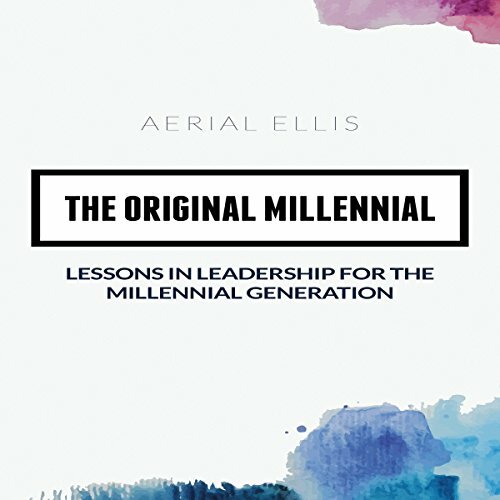 Most of all, you will take away inspiration and hope that future is in good hands with an original millennial at the helm. If you have any questions about this product by Aerial Ellis, contact us by completing and submitting the form below. If you are looking for a specif part number, please include it with your message.